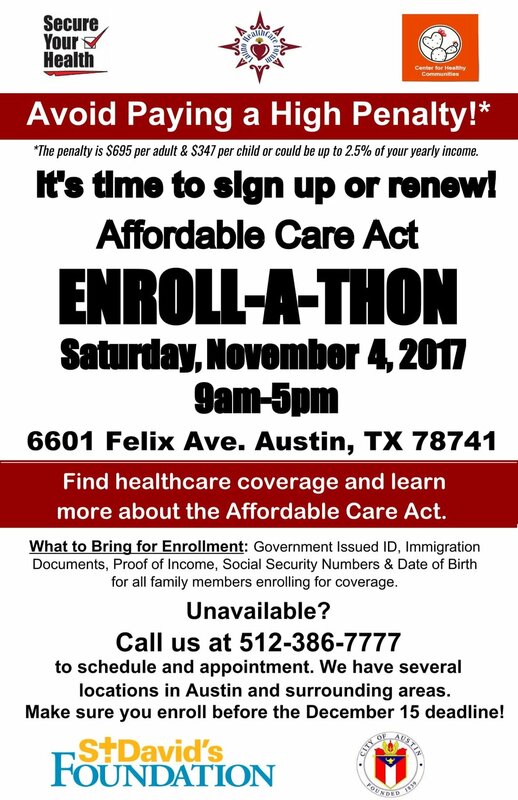 Have questions about healthcare? We can help. 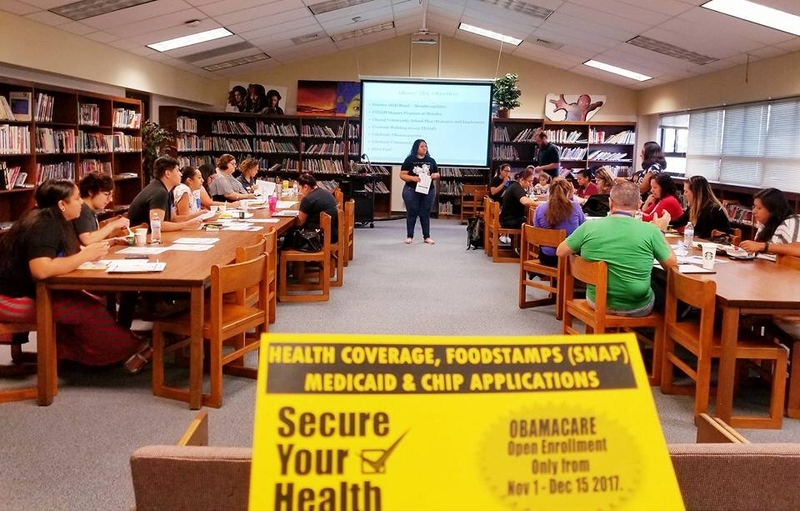 Our initial purpose in starting the Latino HealthCare Forum was to provide a vehicle for the community to become informed about the Affordable Care Act (ACA) and its various provisions. A group of highly involved community members started discussing the upcoming changes for the healthcare system nationally. Soon after, they realized that if they had trouble understanding it and making it work for the community then others would be having the same issue. So that’s why the Latino HealthCare Forum got started– to help others understand, learn, and advocate for their own and the community’s health. At the Dove Springs Alliance meeting. Presenting information about the upcoming open enrollment period. Presenting at the Texas Association Community Health Center, Outreach and Enrollment Conference. As a premier "Champion of Coverage," we are proud to serve our community and use best practices to fulfill our mission to educate our community about affordable health insurance. Serving Travis County Dove Springs, Manantial De Salud works closely with the community and was established initially with grants from the University of Texas at Austin to promote healthy lifestyles. Estamos buscando voluntarios para una investigación de personas provenientes de México. Si usted fuma y tiene 21 años o más, podría calificar para participar en nuestro estudio. The LHCF's core competency is its PromoSalud program, which trains members of the community to become community health workers or “promotores de salud”. Manantial de Salud North Central is dedicated to promoting well being in the North Central community of Austin, TX through improving health and lifestyles, and creating positive environments. Newest initiative for the Latino HealthCare Forum; it will be the service delivery vehicle for our organization and will seek to research public policies and other special initiatives. Rundberg community and Latino Healthcare Forum Rundberg initiative members, work closely to increase behavior change and access to information and health services. To be part of our social community, Follow us on Facebook or Subscribe to our Youtube channel.